The sparkle and fade that comes with any recognition associated with an art form is continuously at play. Artists need a tough outer shell to survive criticism, as well as an effervescing sense of persistence to find inspiration in the face of seemingly insurmountable obstacles. 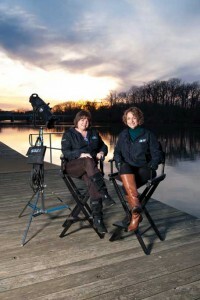 That’s where Lee Anderson and Patti White, co-founders of the Annapolis Film Festival, now in its third year, come in. Longtime Annapolitans, Lee and Patti have traveled the globe and worked in the demanding world of film and television, amassing an arsenal of experiences that birthed the Annapolis Film Festival. Having collectively accrued several awards, including three national Emmy Awards, plus Telly Awards, CINE Golden Eagle Awards, and the coveted George Foster Peabody Award for Broadcast Journalism, among others, Lee and Patti are principals of Filmsters, a television and film production and development company, and embarked on the Film Festival journey after they spent 18 months traveling the circuit with their own documentary. “What I saw while working the circuit was that towns of all sizes do this. We thought the effective ones were those with layouts and villages like ours,” shares Lee. To preserve the integrity of such an undertaking, Lee and Patti developed the mission to encourage the development of all aspects of the creative arts in and around Annapolis through the cinema experience. The goal is to inspire and entertain diverse audiences on a multitude of subjects, while promoting Annapolis as a cultural hub. The example she provides is their film selections and showcases. This year, one of their showcases is the African-American Experience Showcase, which will demonstrate the impact of film on civil rights. “Annapolis has quite the black history background, so we’re screening a documentary on this subject and having a panel discussion after the film, LBJ/JFK: A Time for Greatness, which will be moderated by Kurt Schmoke, the president of University of Baltimore and former mayor of Baltimore.” Other showcases focus on student filmmakers, environmental issues, the LGBT (lesbian, gay, bisexual, transgender) perspectives, and the Jewish cultural experience. Selected films this year focus on military, sailing, and global issues, as well as four shorts programs. The films are literally from all over the world. A highlight for Lee and Patti is the shorts program, featuring 90-minute blocks of eight to ten short films per seating. “The themes change each year because life reflects art and art reflects life,” adds Lee, expounding on the process of choosing films for the event. 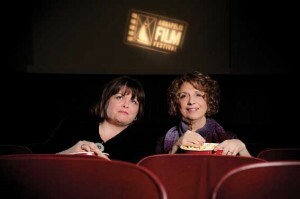 She and Patti handpick each film while working with an amazing team and staff (last year they had about 200 volunteers). This is their third installation, marking quite a milestone for the fledgling festival. While the first two years required a bit of convincing for filmmakers to trust in the venue, this year, the submissions poured in without much imploring on the part of festival organizers. “In the beginning, we were not tangible, [filmmakers] had to believe in our vision. It was a monumental effort. This year, we have two years behind us. We don’t have a big corporate sponsor in the sky, but we have grass roots and hospitality,” explains Lee. That Lee and Patti are artists enables them to understand what makes other artists tick. They believe that artists deserve respect and recognition for their efforts, as well as an appropriate venue to showcase their work. This is the impetus behind the reason artists choose the Annapolis Film Festival: they know they will be treated well by warm people who hold artists in high esteem. This unique attitude attracts great films and artists. 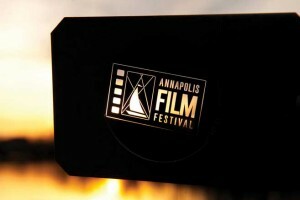 In just two years, the Annapolis Film Festival has created a reputation for outstanding courtesy, treating artists and their works with the respect they deserve. The quality of submissions this year has also made leaps and bounds, reaching a pinnacle of creative excellence for which Lee and Patti have been longing. But they say what’s really setting this year apart is that they’re spreading out into community venues. Peppered throughout the downtown historic and arts districts, the walkable Annapolis Film Festival will feature screenings at five venues. A trolley will also provide rides. However, the authenticity of the event is embellished not just by the general locale but by the particular sites. While viewing movies in the theater setting has a certain excitement, festivalgoers will also view screenings in an African American church built in the 1800s, a historical elementary school, the Maryland Hall for Performing Arts, as well as St. John’s College. 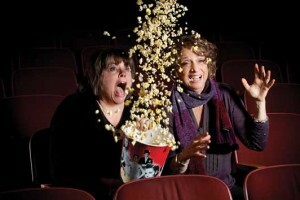 “You’re not just going into movie theaters, you’re learning about the town,” explain Lee and Patti, in near unison. With that in mind, they’re hoping to fill seats with 10,000 people over the course of the festival. It’s an exciting concept for an event that drew 2,600 people in its first year and 7,500 in its sophomore year. Their biggest challenge so far? Turning away a plethora of beautiful films due to a limited number of screenings. So, what’s on the agenda? The movie Gabrial, starring Rory Culkin, is touted as a powerful movie about a young twenty-something who suffers from mental illness. The movie documents his return home after a lengthy hospitalization. Touched by the premise, Lee and Patti explain how many families can relate to this in some way, which epitomizes the importance of the experience. Oasis: The Center for Mental Health is sponsoring the film, and representatives of the organization will speak afterwards. Another movie in the lineup includes the mockumentary feature film, Adventures in Comedy, with Tom McKaffry, a stand-up comic from New York who both directed and acted in the movie. The film centers on the life of a stand-up comedian trying to make it. In addition to movies and panel conversations, the festival will feature educational opportunities for filmmakers, live music, and so much more. It’s an exciting time for a festival due to changing technologies and distribution modalities. “So many films don’t get the exposure they deserve,” says Lee. “The festival gives films an opportunity to connect with an audience, providing people with a chance to learn and see things in the art and film world that they don’t normally.” They even get to engage in Q&As and speak with filmmakers. Error: Error validating access token: Session has expired on Saturday, 09-Mar-19 15:57:50 PST. The current time is Friday, 19-Apr-19 11:15:45 PDT.